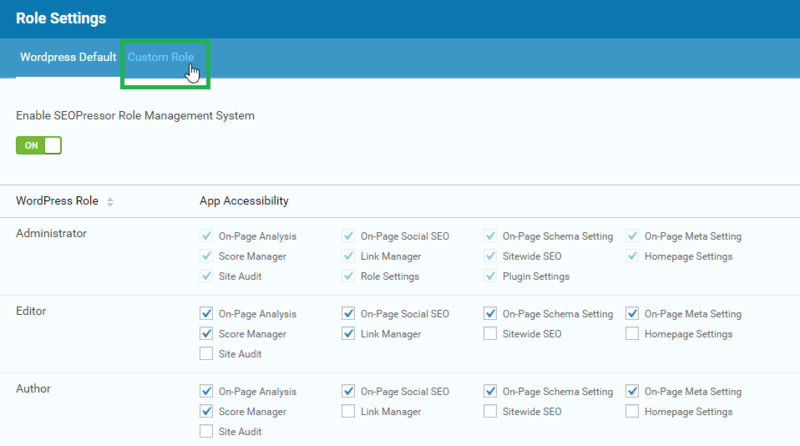 In the previous tutorial, we have looked at SEOPressor Score Manager. 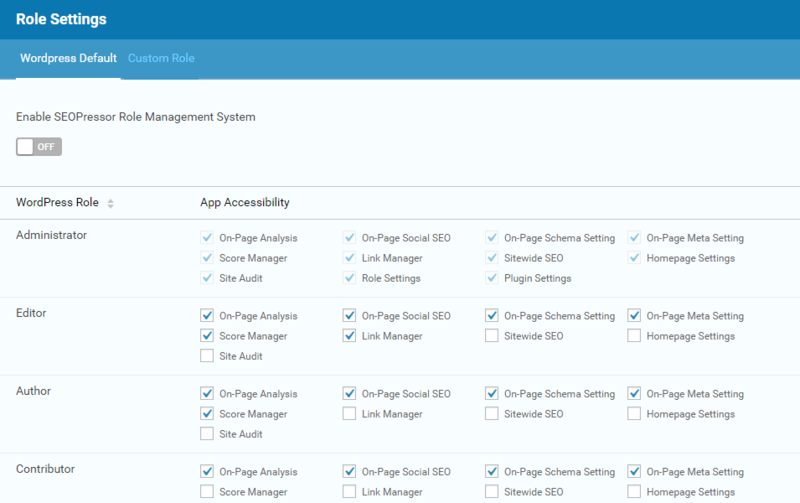 If you have more than one person handling the website, then Role Settings can help you to manage your team members easily by granting or limiting their access to SEOPressor. 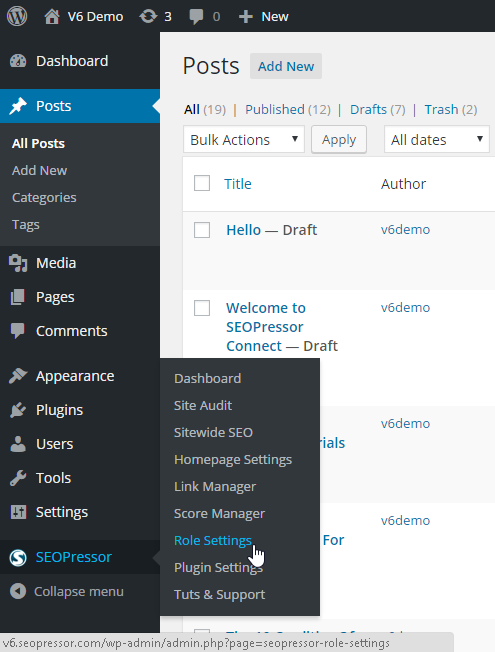 Step 1: Go to the WordPress menu on your left, click ‘SEOPressor > Role Settings’. You will be directed to the WordPress Default under Role Settings. Step 2: Turn on the SEOPressor Role Management System to be able to manage the access of your team members. Last Step: Here, you can check on which page can each role access to. 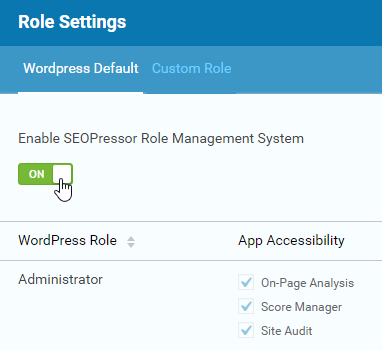 If the role that you’re looking for can’t be found under WordPress Default, you can create more roles in Custom Role. 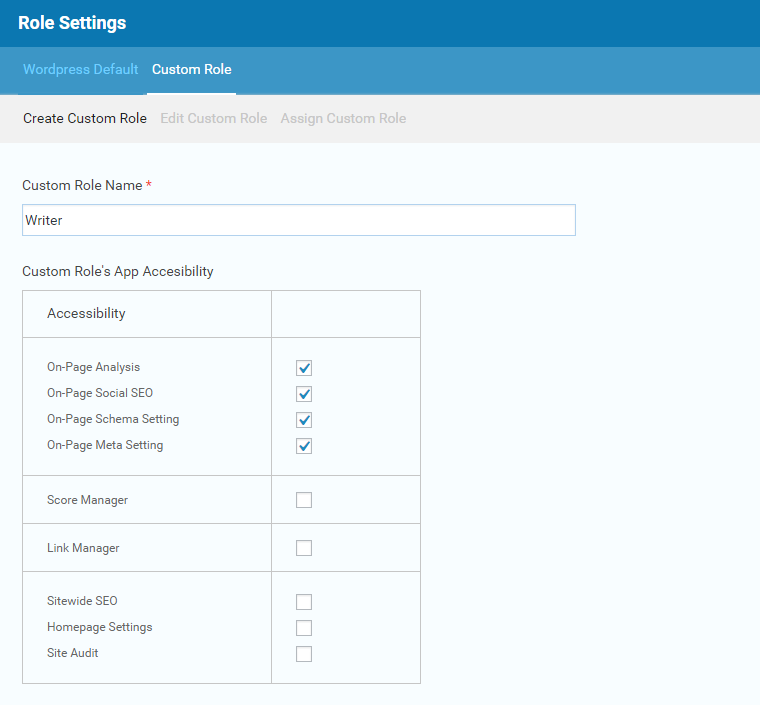 Under Create Custom Role, add a name for your custom role and select which page can that particular role access to. Once you’re done, click ‘Create‘. If you have more things to edit after creating a Custom Role, you can go to the next tab, Edit Custom Role to change the settings. You can also assign your team members to be in a particular role. To do that, go to the last tab, ‘Assign Custom Role‘. Fill in the Username, and click ‘Add User‘ once you’re done. That’s all you need to manage your team members’ accessibility.